1. 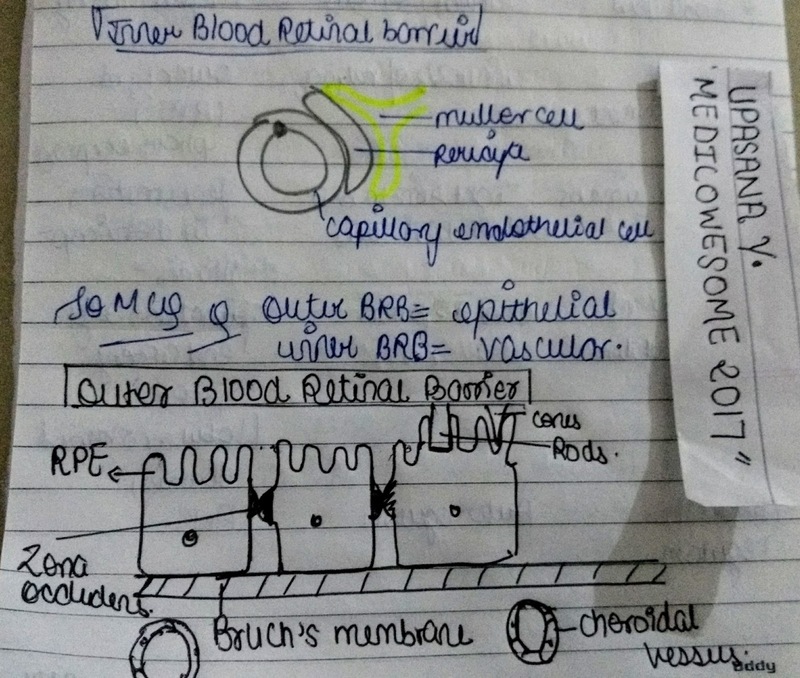 Outer blood retinal Barrier - Formed by tight junction of retinal pigmented epithelium. 2. 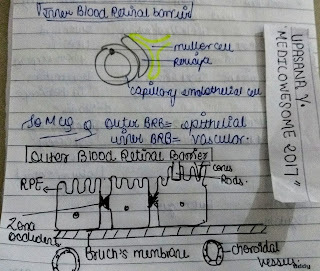 Inner blood Retinal Barrier - Formed by Muller cells and pericytes surrounding the lining of microvasculature.